Is there any paperwork or document for the mechanical systems of 89 Gower Dr, Aurora, Ontario? I need more information about the property at 89 Gower Dr, Aurora, Ontario. How ist the neighborhood, location and nearby amenities for 89 Gower Dr, Aurora, Ontario? I have questions about the roof, foundation, insulations and mechanical issues of 89 Gower Dr, Aurora, Ontario? I need more information about property details. What's wrong with this house? Is this a short sale? Is there any maintenance for 89 Gower Dr, Aurora, Ontario? What is this property worth in today's market? What are "closing costs", and how much? What steps should I take when looking for a home loan? What price home can I afford? Is my credit good enough to buy this house? What are the best mortgage options for me? How flexible is the seller on the asking price? How low can I consider offering for 89 Gower Dr, Aurora, Ontario? Large End Unit Lot, Just 2 Years New Home Built By Paradise Homes!! 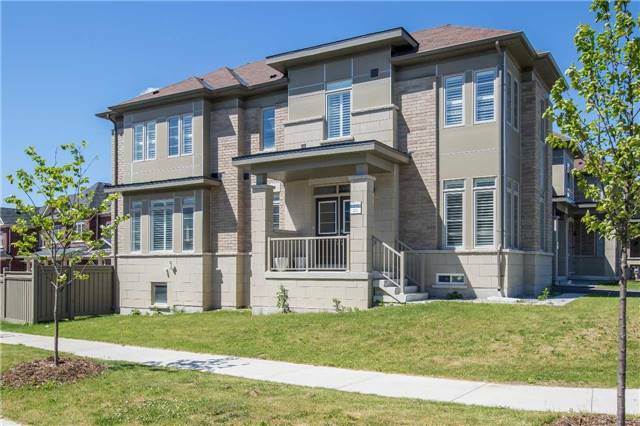 Bright & Spacious Large 4 Bedroom Home, With 2000 Sq.Ft Of Open Concept!! This Home Is Situated In The Prime St. Johns Forest Location Of Aurora! Top Rated School, Rick Hansen Public School, Aurora Go Station & Newly Built T&T Supermarket And Shops Just A Few Minutes From The Home. Hardwood On The Main Floors, With Large Windows & A Very Nice Functional Flow! All Appliances, All Electric Light Fixtures, Gas Burner & Equipment, Central Air Conditioner, Exterior Stone And Brick Finishes, Large Lot!